Time may be the great healer. But it is yet to heal the pains of Elekia Giwa, mother of late Dele Giwa, founding editor-in-chief of Newswatch magazine, 16 years after the gruesome murder of her son through a parcel bomb allegedly delivered at his residence by agents of the federal government. Elekia is still crying for vengeance for the perpetrators. Dressed in Iro and Buba made of light green Ankara cloth with stripes of black and wearing a plaited hair, Giwa (Mother), greatly agitated, told Newswatch, Tuesday, June 11, �I cannot be happy until I hear that Babangida has been punished.� Giwa could not find any consolation in the recommendation of the human rights violation and investigation commission holding General Ibrahim Babangida, former military president and his two security chiefs accountable for the death of her son. The two security chiefs are Brigadier-General Halilu Akilu, former director in the directorate of military intelligence, DMI, and Colonel A.K. Togun, deputy director of the State Security Service, SSS. She also does not find any relief from the commission�s position that the case be re-opened for further investigation in the public interest. She finds it difficult to sum up her feelings on the issue, saying there is nothing to react to: �What can I react to? Is it that Babangida has been killed? Or what has anybody done to him that I can react to? The stand of the family is that Babangida should be killed,� she said. Giwa is bitter about her son�s fate and believes his friends betrayed him. But she is alive to the dogged fight Gani Fawehinmi, human rights lawyer, fought to unmask her son�s killers. Painfully excited, she recalls the day Fawehinmi led her to appear at the sitting of the Human Rights Violation and Investigation Commission chaired by Chukwudifu Oputa, a retired chief justice: �When I walked into the Oputa panel sitting in Lagos on that fateful day, as soon as people were aware that Dele Giwa�s mother was around, they became hysterical, raining curses on Babangida and his cohorts. I saw Fawehinmi with several giant portraits of Dele Giwa and several cartons of leaflets containing Dele Giwa�s gruesomely mutilated body. I know God will reward Gani for sticking his life out for my late son. Gani put his life on the line to ensure that Giwa�s killers are brought to book. No matter how long it takes, I know God will punish Babangida for killing my son. I am waiting to hear that Babangida has been killed to avenge the death of my son, she said.� She believes Babangida refused to come to the Oputa panel at its Lagos and Abuja sittings because the people would lynch him if ever he dared to come. �No matter how far he runs, he will never go unpunished,� she insists. The Oputa panel report may not mean much to Giwa�s mother. But its recommendations appear to be the first time a government official document is openly indicting the former head of state and his two security officials over the death of Giwa. It also vindicates Fawehinmi�s long battle to nail Babangida and his two security chiefs; Akilu and Togun, for the death of Dele Giwa on October 19, 1986 . Two days before his death, Giwa, who confided in Fawehinmi, his lawyer that he was being harassed by Akilu and Togun, expressed anxiety that he could be eliminated. The Babangida regime saw Giwa�s radical approach to journalism as a direct attack on the government. He was a regular visitor to the SSS and DMI offices on invitation. For instance, security operatives summoned Giwa early 1986 after a report on the execution of Mamman Vatsa, a major-general and other officers accused of plotting a coup. The DMI invited him on suspicion that he had a copy of the judgment delivered by the tribunal that sentenced Vatsa and others, which Newswatch wanted to publish. Again, on September 19, 1986 , he was invited by the SSS in respect of an article in his column which described the introduction of a second-tier foreign exchange market, SFEM, as �God�s experiment.� In the article, Giwa said �the only problem for the government is that all its leaders will be stoned on the street if the SFEM fails; and everybody will be hungry and things will be like in Ethiopia .� But he quickly added that �the source of hope is that Babangida is determined to make SFEM work.� Giwa was asked to report to one Mrs. Aliyu and one Adeniyi-Jones, two senior members of SSS where he made a statement. He was later taken to Togun who did not find anything offensive in Giwa�s article. Togun was said to have exonerated Giwa because he (Giwa) stated in the same column that the head of state was determined to make SFEM work. Giwa thought the battle was over. But he was dead wrong. On Thursday, October 16, three days before his death, Giwa was again summoned by SSS. He was accompanied by Ray Ekpu, who is now the chief executive officer of Newswatch Communications Limited. Only Giwa was allowed to meet Togun. Ekpu was kept outside. Giwa reported that he was confronted with four allegations. He was accused of planning a story on �the other side� of the Ebitu Ukiwe story. Ukiwe, a commodore, was the chief of general staff, CGS, who was removed in controversial circumstances. 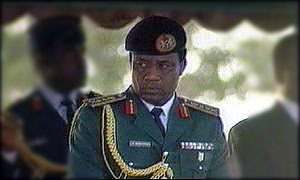 Newswatch reported the removal of the CGS in its October 20, 1986 , edition under a cover titled: �Power Games: Ukiwe Loses Out.� Again, Giwa was accused of planning to give Alozie Ogugbuaja, former police public relations officer in Lagos , a job in Newswatch if the police could not reabsorb him. The police suspended Ogugbaja because he told the Akanbi panel investigating the May 1986 students riot in universities that soldiers in Nigeria plan coups because they were idle. The truth of the matter was that Giwa had phoned one of the executive directors of Newswatch, saying Ogugbuaja was a good editorial material. �He is a good writer and in fact, a mass communication graduate. Besides, he has a lot of contacts in and outside the police. If they fire him, don�t you think we can take him?� he asked. Giwa was reported neither to have denied nor admitted the accusation. He was said to have reminded the security officer that it was not his business who he employed. Then came the third and fourth allegations which sounded like a bombshell. He was shocked to the bone marrow. Togun alleged that his security report showed that Giwa had been holding meetings with the Nigeria Labour Congress, NLC, the Academic Staff Union of Universities, ASUU, and students with the sole aim of destabilising the government of General Babangida and facilitate the enthronement of a socialist revolution. Giwa was also accused of making consultations with different people on the possibility of importing arms into the country. Giwa did not take the allegations lightly as they were said to have generated a heated argument between him and Togun. When he came back, he reported his encounter to Ekpu: �If they think this of me, then I am not safe. They are only trying to give a dog a bad name in order to hang it,� he said. Giwa also reported the matter to Fawehinmi, his lawyer. Newswatch directors had wanted to call a press conference to that effect but later dropped the idea when Fawehinmi promised to take the case to court on Monday, October 20. But Giwa was not allowed to see that date as he was bombed to death on Sunday, October 19. Soon after his death, government vowed to unravel those behind the monstrous killing and bring the killers to book. Rear Admiral (now admiral) Augustus Aikhomu, chief of general staff and Tony Momoh, the then minister of information, promised that a judicial panel would be set up to probe the murder. The government officials later said that the police was capable of unraveling the mystery surrounding Giwa�s death. Abubakar Tsav, former assistant, later commissioner of police, was saddled with the heavy task of unraveling the mystery of Dele Giwa�s murder. Tsav was said to have recommended to DIG Chris Omeben, his boss that there was an urgent need to investigate Akilu and Togun. But no sooner did he make the recommendation than he was withdrawn from the case. He was dispatched to Benin to take up the investigation of the case of Lawrence Anini, the notorious armed robber terrorising residents of Benin and other towns in the old Bendel State . Omeben explained that Tsav was removed from the case because he was too junior an officer to understand the intricacies of the case. Since then the police ran into a dead end on the Dele Giwa issue. Recognising that the police would definitely not help matters, Fawehinmi, also counsel to Giwa, saddled himself with the responsibility of investigating the case. And subsequently, the lawyer fingered Akilu and Togun as the masterminds of Giwa�s murder. Fawehinmi began a legal action against suspected murderers on November 3, 1986 . He applied to James Odunneye, then Lagos State director of public prosecution, DPP, under section 342(a) of the criminal procedures law of Lagos State , seeking the DPP�s permission to file a murder charge against Akilu and Togun by private prosecution. He wanted to charge them on two counts: murder contrary to section 319 (1) of the criminal code law-cap 31, laws of Lagos State 1973; and conspiracy to commit murder contrary to section 324 of the same code. The case lingered from the high court, court of appeal and finally to the Supreme Court. At the high court where Fawehinmi asked for leave to apply for an order of mandamus to prosecute Akilu and Togun, he lost. The fiery lawyer also lost the appeal he filed against the ruling delivered by Candido Johnson, the presiding judge. Dismissing his appeal on February 23, 1987 , the court said Fawehinmi�s application was �frivolous, hopeless, incompetent and constituting an abuse of legal process be a busy-body.� Fawehinmi did not give up. He went to the Supreme Court. His application was granted. On December 18, 1994 , the court, in a six to one decision ruled that Akilu and Togun could be privately prosecuted for the murder of Giwa. Until now, that was the only victory Fawehinmi recorded. Akilu and Togun were neither arrested nor prosecuted. Akilu also confirmed that he was never interrogated by the army over his involvement in the death of Giwa. 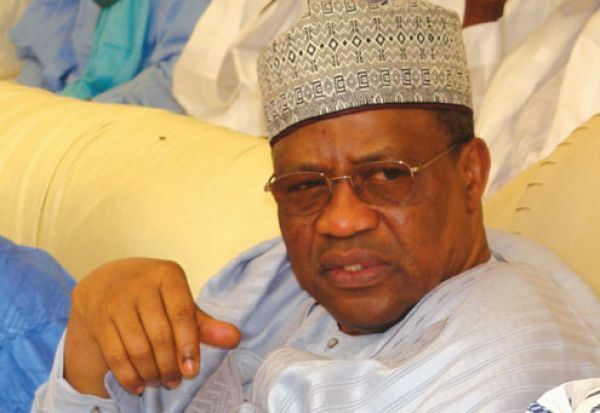 In an interview with the defunct Thisweek magazine, September 11, 1989 , he said he gave the military his own version of the story �and they were convinced.� The government of Babangida resorted to intimidation and victimisation of all those pursuing the case. Fawehinmi was arrested and detained at various occasions. At a stage Akilu and Togun sued him for defamation and the court ruled that Fawehinmi should pay N6 million jointly to Akilu and Togun. The judgment was later set aside by the court of appeal in 1994. Giwa�s case remained an unresolved puzzle until the inauguration of the Oputa panel on June 14, 1999 . President Olusegun Obasanjo said that the report of the panel would help to heal the wounds of the past and quickly put the ugly past behind us to continue to stretch our hand of fellowship and friendship to Nigerians for complete reconciliation based on the truth. He also charged the commission to reconcile all those who feel alienated by past political events, heal wounds inflicted on our people and restore harmony in Nigeria . Fawehinmi�s battle to get Babangida and his two security chiefs to defend allegations that they murdered Giwa then shifted to the Oputa panel. He petitioned the panel. Likewise Newswatch directors. The two petitions were later merged. In a bid to forestall justice, Babangida filed a case in the federal high court, Lagos against the commission, challenging summons issued him by the commission to appear to defend himself against allegations contained in the seven-page petition Fawehinmi submitted to the panel. Akilu and Togun were also summoned by the commission. None of them appeared before the panel when the case was heard December 11, 2000 . They were represented by M.B. Wali, their lawyer. The trio also made efforts to stop their appearance before the commission. They got a federal high court order on December 8, through an exparte motion restraining the panel from summoning them to appear before it. Rotimi Williams, SAN, filed the suit on behalf of the ex-military officers. They sought among other things a declaration that the tribunals of inquiry Act 1966, No 41 is not an enactment on any matter with respect to which the national assembly is empowered to make laws under the constitution of the Federal Republic of Nigeria, 1999 and it, accordingly, took effect as a law enacted by the house of assembly of a state.� They also asked the court to stop the commission from exercising powers conferred upon it by the tribunal of inquiry Act of 1990 which it invoked in issuing the summons. Fawehinmi was not deterred by the lingering court cases. December 11, 2000 , Fawehinmi stormed the Oputa panel with two young boys carrying two giant framed photographs of the late Giwa. One of the photographs showed Giwa�s full life before the bomb blast. The other showed Giwa�s mangled body with burns and blood spread over the lower abdomen, after the explosion. Tears flowed freely as many could not control their emotion. It was like the re-opening of an old wound. �This is what Babangida did. This is what Akilu did. This is what Togun did,� Fawehinmi said while displaying the photographs. He later read his petition. Fawehinmi gave a chronological account of the events preceding the death of Giwa. All pointed to a deliberate, calculated and well-executed plan to eliminate Giwa. The way and manner he presented his case before the panel caused him, Giwa�s family and Newswatch directors to weep openly at the panel�s sitting. He told the commission how the security operatives harassed, intimidated and trailed Giwa before his death. He said the surveillance on Giwa might not be unconnected with a story of one Miss Gloria Okon, who was implicated in drug trafficking with Maryam, the wife of Babangida. Fawehinmi said he was about to take up the case in a law court before the bubble burst. He asked the commission to recommend that Babangida, Togun and Akilu be charged and tried for the murder of Giwa. He also prayed that N2 billion be paid by the affected officers to Giwa�s mother, wife, children, other dependants and relatives as compensation for his murder. All efforts by the commission to dock the affected officers failed both in Lagos and Abuja sittings. Instead, a team of lawyers led by Clement Akpamgbo, SAN, and former minister of justice applied to represent them. The appearance of the team of lawyers did not go down well with the commission. Fawehinmi and other counsels also opposed their appearance. A legal battle that lasted several hours ensued. The bone of contention was whether a person summoned by the commission to appear and testify in respect of a memorandum or any aspect of it before the commission, could be represented by a counsel; whether or not the witness could give evidence before the commission when he had not appeared personally in obedience to the summons; and whether or not the counsel could be permitted to cross-examine other witnesses involved in the petition. Oputa panel, on October 3, 2001 , ruled that the ex-military officers and other top government functionaries summoned by the commission ought to have attended in person and not through counsel. Oputa said that military officers were not above the law and beyond punishment. Apparently aware of the political implication of the commission�s indictment, Babangida and co, on Monday, June 3, this year filed a suit at an Abuja high court against the panel�s recommendation that the Dele Giwa murder be re-investigated. They are asking the court to restrain Obasanjo and the committee from implementing the recommendations of the Oputa panel. In a motion on notice filed by Yahaya Mohammed, counsel to Babangida, Akilu and Togun, the court was asked to restrain the president, the attorney-general of the federation from considering and or accepting the recommendations of the Oputa panel pending the hearing and determination of the suit. The plaintiffs argued that if the defendants were not restrained, they may ignore the decision of the court of appeal and implement the commission�s findings. �It will be in the interest of justice to restrain them and their agents, servants or privies from doing so,� they maintained. There are fears that the legal action by Babangida and his former aides might open the floodgate of litigations against the report. This would make a caricature of the commission�s effort to reconcile Nigerians and heal old wounds. Already, Fawehinmi and other human rights activists are readying their armour for an epic legal battle on the issue. �Babangida has gone to court to prevent implementation of the report of the panel. In the last few days I have been contacted by a few clients, including relations of MKO Abiola to also ensure that the recommendations are implemented. So, it is going to be an interesting legal battle soon,� Falana said. He vows that there is �no way legal gymnastics are going to be allowed to sweep those recommendations under the carpet.� For Fawehinmi, if Oputa came to that conclusion �which we believe is right, the logical sequence is that Obasanjo owes a duty to his oath of office to uphold the provisions of constitution of 1999.� Fawehinmi says one of its 320 provisions is the right to life. That right to life was also in the 1979 constitution and the military did not abrogate it. �At the time Dele Giwa was murdered, he had his right to life which was snuffed out of him,� he said. He insists that Obasanjo owes a duty to his oath of office to the constitution of Nigeria , to the rule of law, to orderly arrangement of the Nigeria polity, to the sanctity of life and to God to accept that recommendation under the tribunals of enquiry act. �Having accepted it, Babangida should be arrested. He no longer enjoys any immunity. Section 308 will not apply. He is an ordinary citizen and there is no time bar for murder. He must be arrested immediately, placed in custody, arraigned before court of law, prosecuted by the ministry of justice and should be made to face the music. If found guilty, he should be hanged,� he said. Fawehinmi sees this as the only way by which he should be seen not to be above the law of the country. Apart from indicting Babangida and his top security chiefs, Oputa panel�s report also said that Muhammadu Buhari and Abdulsalami Abubakar, ex-military heads of state, were equally affected. The commission stated that Buhari and the director of the then National Security Organisation, NSO, should be held liable for the various human rights violations during the 20 months of his rule. Notably among the human rights violations associated with Buhari was the abduction of Umaru Dikko, former transport minister and the execution of three drug pushers, Bartholomew Owoh, 26, Bernard Ogedengbe, 29, and Lawal Ojulope, 30, on April 10, 1985. They were found guilty by the miscellaneous offences tribunal, also under Decree 20. The Oputa panel said both Buhari and the Supreme Military Council, SMC, which he headed erred in law in carrying out the execution. The commission said there was overwhelming evidence to show that the execution of the three men did not correspond with the time frame allowed by the decree under which they were tried, found guilty and executed. The commission therefore contended that the act offended the rule of law and the African charter on people�s rights. It recommended that Buhari should tender an unreserved public apology to the families of the deceased. In the case of Abubakar, the commission recommended that he be held accountable for the death in detention of Chief MKO Abiola. Abiola died on July 7, 1998 while in detention in Abuja . The commission holds that the testimony of Abdulrasheed Aliyu, former chief security officer to Abubakar could not supply the missing link in the death of Abiola. Instead, he contradicted himself on a number of issues. In fact, his testimony before the panel in Abuja was hollow and unreal. He gave himself away as a tutored witness who was bent on exonerating his boss from any complicity in Abiola�s death. Newswatch learnt that the commission wanted to sanction all the ex-military officers but some members could not agree on the idea. Ibrahim Coomasie, former inspector-general of the police was not spared by the commission. It said that Coomassie knew what happened to late Baguada Kaltho, correspondent of TheNews magazine. Kaltho died in mysterious circumstances during the regime of General Sani Abacha. Security operatives said he died in a bomb blast. Some photographs purported to be his were tendered as evidence before the Oputa panel. The commission stated that there was enough prima facie evidence to show that there was complicity by agents of government in his death. It recommended that the case be re-opened for proper investigation and prosecution of culprits. The commission also recommended that Obasanjo should find a political solution to the lingering cases involving Ishaya Bamaiyi, former chief of army staff, Hamza Al-Mustapha, former chief security officer to the late General Sani Abacha and Mohammed Abacha. They have been in detention since 1999. The commission holds that their pardon would rekindle the spirit of forgiveness, reconciliation, unity and peaceful co-existence among Nigerians. It also recommended the re-opening of the case of the death of Shehu Yar�Adua, former chief of staff, supreme headquarters, who died in 1997. The commission also recommended that Rivers State government should find ways of settling outstanding cases of abandoned property since �the issue remains very delicate.� It also harped on the need to create a ministry of human rights to promote human rights. The National Human Rights Commission, Legal Aids Council, Judicial Service Commission, the Code of Conduct Bureau, all these statutory bodies, are to form the new ministry. The commission recommended that the military be pruned to a sizeable number. It recommended the overhaul of DMI to ensure professionalism. It also recommended that human rights should be part of the curricula of education in military institutions in the country. Nigerians are happy with the Oputa report. But they are wary that the federal government may not muster enough political will to implement the recommendations of the report. If this happens, Giwa�s mother�s worst fear that Babangida could go free would be confirmed.